Thinking of my husband who is doing the ARC…. I realized how much fun it was catching fish on a daily base! Each boat needs a good recipe for a tartare of tuna! You can also use this recipe with Mahi Mahi. Enjoy your crossing and good luck with the fishing! One of my favourite dishes is definitely ‘tartare’ of tuna. A ‘tartare’ is a French dish, made with chopped, fresh, raw fish and brought to taste with spices and fresh herbs. While we were sailing, my husband caught lots of fish. I took advantage to try out a whole variety of tartars. This is one of my favorites. Enjoy! 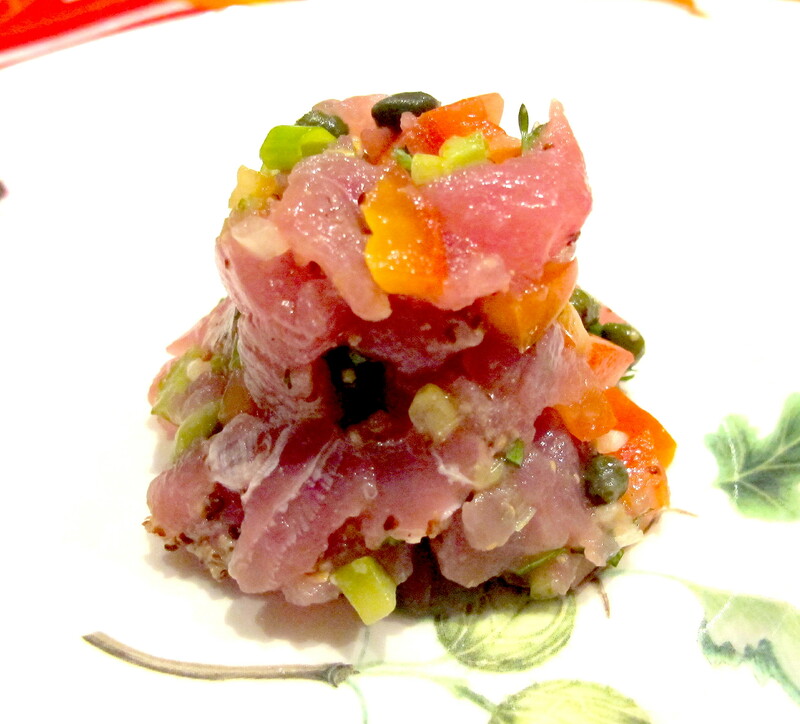 Dice the tuna in cubes of approximately 1 cm. Chop the spring onion and parsley finely. Remove the seeds from the cucumbers and cut into small cubes.